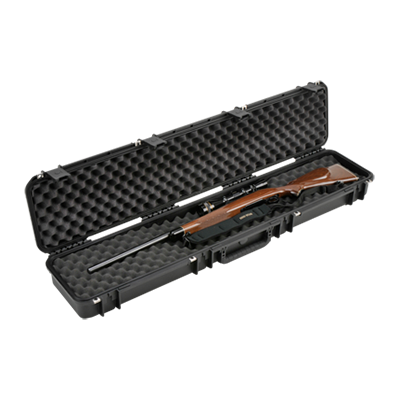 The 3i-4909-SR Single Rifle case holds scoped rifles up to 49" long and is part of the iSeries waterproof case line. 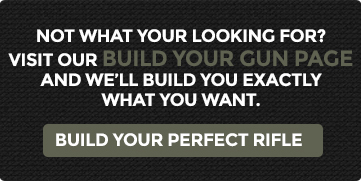 The interior is made of high quality EPS and ELE convolute foam to ensure a proper compression and protection for your firearm. 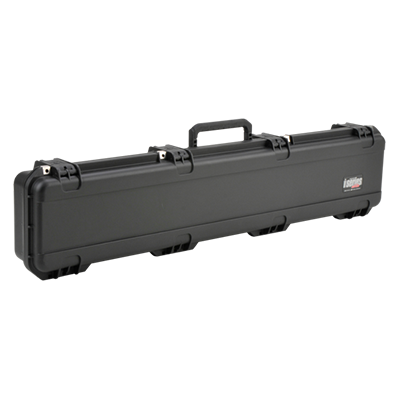 The 3i-4909-SR measures 49" x 9" x 5" deep and is covered by SKB's Unconditional Lifetime Warranty. 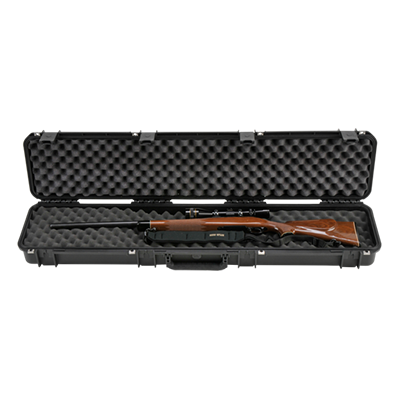 The 4909-SR Injection Molded Watertight Single Rifle Case has four (4) SKB patented trigger latches, four reinforced padlock locations that will accommodate a customer supplied lock, the perfect solution for protecting and transporting your rifle. 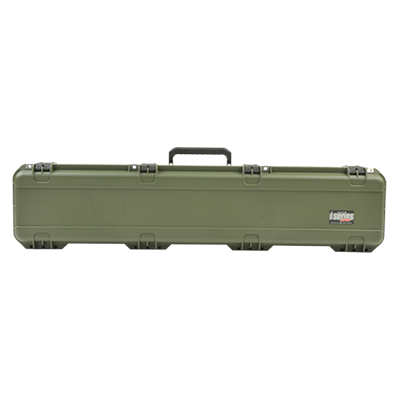 This new Single Rifle Case is also available in 3i-4909-SR-T Tan or 3i-4909-SR-M Military Green and is made in the USA. 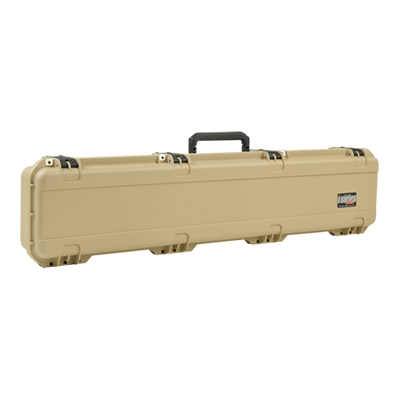 SKB's iSeries of injection molded watertight cases are constructed of ultra high-strength polypropylene copolymer resin and feature a gasketed, waterproof and dustproof, submersible design (IP67) that is resistant to corrosion and impact damage. The molded-in hinge and stainless steel hinge pins, patented "trigger release" latch system, comfortable, snap-down rubber over-molded cushion grip handle, secure stacking, and an automatic ambient pressure equalization valve (MIL-STD-648C) all contribute to its military grade design.